I survived! 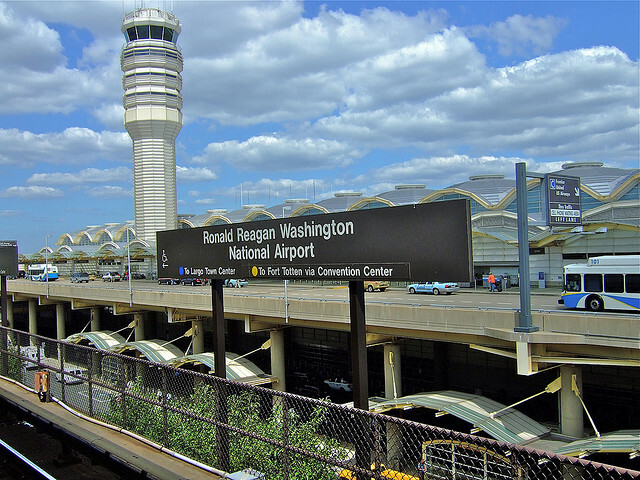 I’m at Reagan National Airport awaiting my flight home. There’s some question about the landing part as there are severe thunderstorms expected over Dallas tonight. We’ll see. I just want to get home. We got a very warm reception from the Arkansas Senators and Representative for the Little Rock area. Senator Boozman was particularly gracious. But, all our visits went well including Senator Cornyn of Texas and Representative Marchant of Texas (my home district. Pat on the back to Dialysis Patient Citizens (DPC) who planned and executed this event and especially to Kristy Lukaszewski who worked tirelessly to resolve all those many problems that arise over this 72 hour period of chaos., She was amazing. She made it look easy but today as I checked out with her, you could tell she was tired. Very tired. Thank you, Kristy, for all the hard work you put into this huge plan! Each year we have certain objectives. This year it was expanding the Medicare Advantage plan to allow dialysis patients to enroll in them. As it is, we can only enroll in the Supplemental program but none of the Advantage plans. If we can participate in those plans we might be able to add such features as dental, vision, and prescriptions. You see the ads about plans with all these features but, as an ESRD patient, you cannot join them. If Medicare Advantage expands to include ESRD patients, we can have a choice of these . plans. The second item on our agenda this year was to begin laying the groundwork for “Integrated Care Act” that would bring the Coordinated Care model to the ESRD community. In this model, the center is given funding for a Nurse Practitioner to coordinate the care for patients in a “special needs” category especially those hospitalized recently. Rather than have a patient discharged with several pages of instructions, prescriptions, referrals, and care suggestions, that information would be copied to a “Care Coordinator (CC)” who would assist the patient with all this. The CC would make appointments, for example, monitor to assure the patient got there (including arranging transportation), and make sure the patient got the information, treatment, and prescriptions needed. The analogy we used was “like a quarterback” coordinating all the players on the field. There are developmental implementations of the CC Model in several states and it is proving to be effective at decreasing re-admissions to hospitals and contributing to the general welfare and good health of dialysis patients. There is no bill submitted to do this yet but it is being written. We also currently have bills before the Senate (SB.598) and the House of Representatives (HB.1130) that are the consolidation of several issues we need resolved to benefit dialysis patients. These are versions of the same bill but before the different Houses of Congress. Collectively they are referred to as “The Kidney Care Act” or, the official name, “The Chronic Kidney Disease Improvement in Research and Treatment Act”. Expanding Medicare is one item in these bills, along with the “Immunosuppresive Drug Act” that allows transplant patients to get Medicare coverage for their badly needed anti-rejection drugs indefinitely. There are about two dozen other items in the bill to benefit kidney and dialysis patients. As to the “Immunosuppressive Drug Act”, once a kidney patient gets a transplant, the clock begins ticking. Three years later, patients under the age of 65 can no longer receive Medicare Part D (Prescription drugs) benefits and they have to pay for these out-of-pocket. This could mean $1000-1500 per month. If they can’t afford them, they stop taking them, reject the kidney and go back on dialysis. This is a huge waste of money, time and a kidney, worst of all. Extending Medicare Part D indefinitely would solve this problem. You can use the DPC site and send your Congress member an email about the “Kidney Care Act”. You can join DPC for free (patients and caregivers). You can call your members of Congress and ask them to support HB.1130 (for your Representative) and SB.598 (for both your Senators). It’s a three minute call. They answer, you say “Hello. I’m a constituent of Representative (or Senator) ______ and I’m calling to ask him/her to support kidney patients with the bill HR.1130 (or SB.598) that expands Medicare Advantage Plans to include dialysis patients along with many other features to improve the lives of kidney patients like me. DPC (Dialysis Patient Citizens recently visited your offices about this matter.” That’s it! Done! Simple, but very effective. The staffer that answered the phone makes a note of this, passes it along to the staffer in charge of such matters and eventually it gets to the Congress member when this bill comes up in committee. It happens because you made a simple call. Nice, eh? Leave a comment and tell everyone what you did! Thanks. April 27, 2016: By the way, I got home. The rain began just as I got in my car and started the trip. It was torrential downpours at times but I made it. This entry was posted in activism, Davita, dialysis, Dialysis Center, Dialysis Patient Citizens, DPC, ESRD, kidney, lobbying, Medicare, patient care, Patient-Centered Care, World Kidney Day and tagged CKD, dialysis, Dialysis Patient Citizens, disability, DPC, education, ESRD, hemodialysis, kidney, lobbying, Medicare, patient, patient care, treatment. Bookmark the permalink.